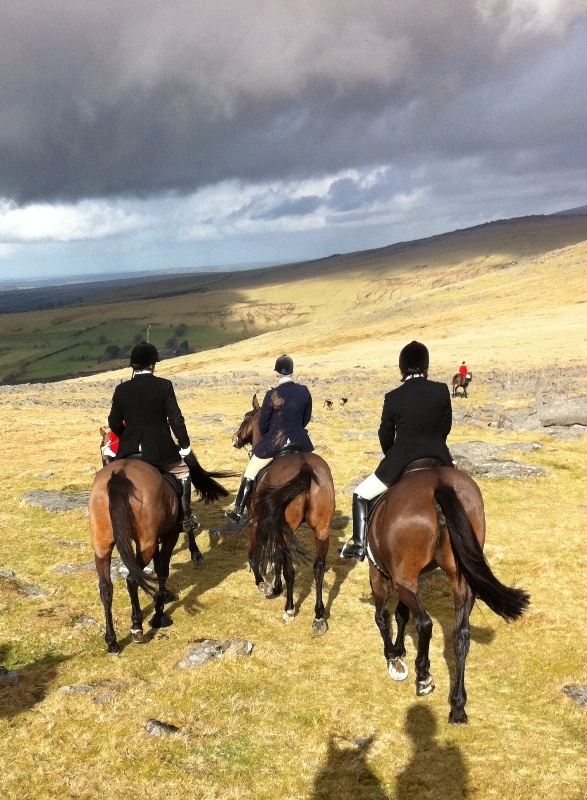 The Spooner's and West Dartmoor Foxhounds trail hunt a country centred on Tavistock on the western edge of Dartmoor, England. The Country extends from Postbridge in the east to Gulworthy in the west and from Okehampton in the north to Plymouth in the south. More than half the country consists of high moorland, which is generally hunted on Saturdays, and the rest in-land farms with high hedge banks separating small mainly grass fields and steep heavily wooded valleys. 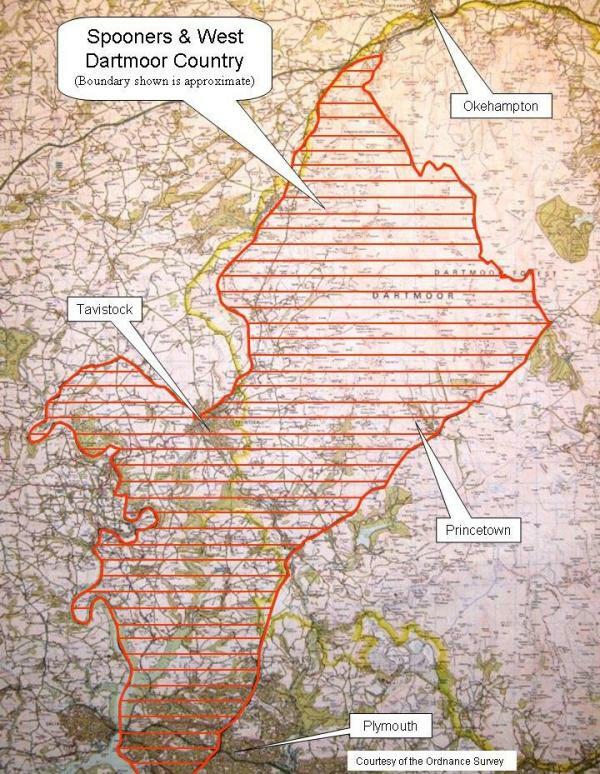 The rivers Dart, Walkham, Tavy, Lyd and West Okement all rise within the boundaries. 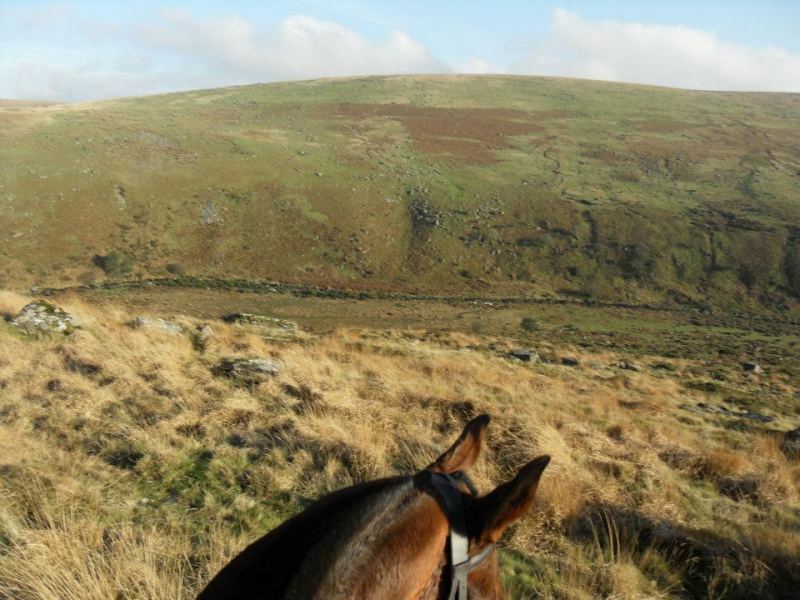 The moor offers excellent opportunities to watch hounds follow the trail in detail but not always at close quarters. 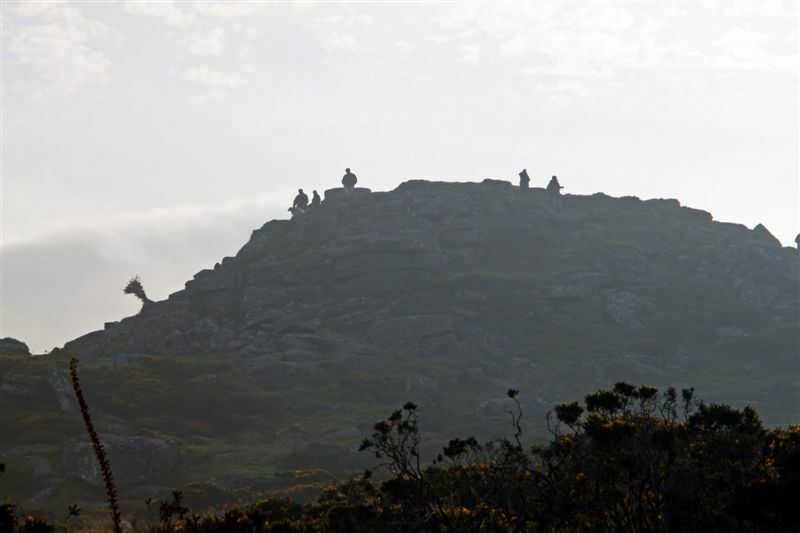 The open appearance of the landscape is deceptive, for despite the areas of good galloping grass it is interspersed with granite boulders, deep bogs and fast-flowing streams in equal quantities, which make it a challenge to cross. Most horses, given time, will learn to cope with its hazards but for the occasional visitor it is better to beg, borrow, steal or hire a local horse. For as in any country a canny mount greatly adds to the enjoyment of a day's sport. The hounds are kennelled at Sampford Spiney and presently contain a liberal dash of fell blood but a policy concentrating on conventional modern English lines is now being pursued. However they are bred the hounds need the confidence and steadiness to draw deep, the cohesion to hunt together and the persistence to cast themselves when help is not at hand. Lying so wet and cold the moor generally holds a good scent. The season starts in early August and runs through until mid-April, Tuesday, Thursday, Saturday in the autumn and Tuesdays and Saturdays from the start of November. 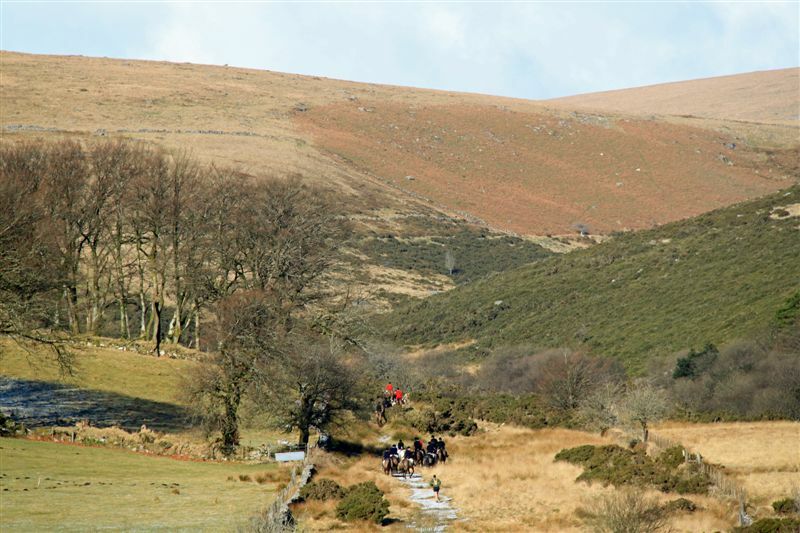 There are few areas of the U.K. left that could guarantee a day's trail hunting free from the interference of roads and traffic, but Dartmoor regularly produces days when the tarmac once left at the meet will not be seen again until the end of the day. It is one of the last wildernesses left in England and has a primeval beauty, in fair weather or foul, which ensures that a day following hounds across it is not easily forgotten.